It is an ethical question when considering to climb Uluru and is one of the most controversial activities that take place within the park. Of course once you have travelled so far you will feel the need to climb Uluru but the local Aboriginals would prefer you didn’t. Others have referred to the climb as the ultimate test of faith and along with tour operators and guidebooks encouraging people to climb they always will. The Anangu (The Local Aboriginals) prefer that tourists would not climb Uluru. The route is considered as sacred and the Anangu feel responsible for the welfare of visitors. Since 1962 more than 30 deaths have been associated with the climb and each year another 30 or more people need to be rescued from the site. 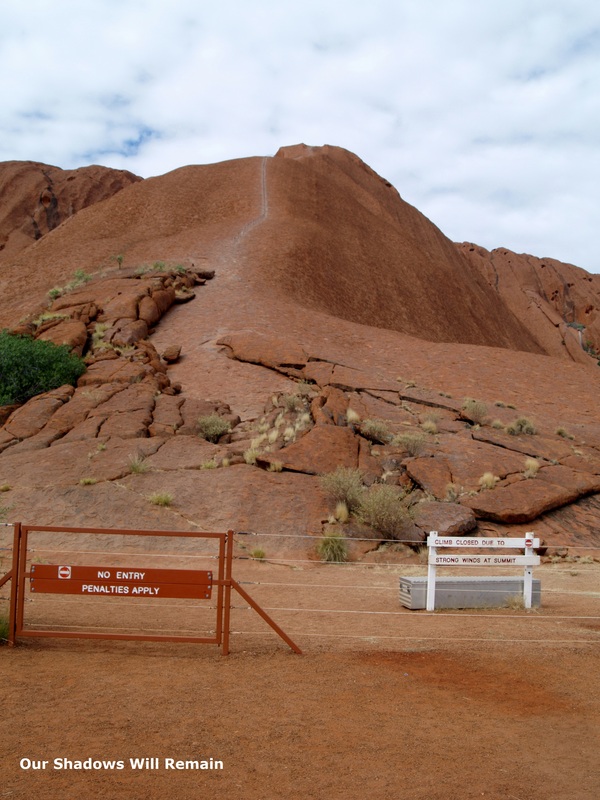 The new message of the Anangu and park management is ‘we never climb’. This new message is one that is communicated with every visitor through a message on their entrance ticket. Some Tour operators have agreed to convey this message as well as Qantas who have prepared a in-flight program that presents the ‘don’t climb’ message. It has become a political subject in Australia and many high-profile people including the former Deputy Prime Minister and leader of the Conservative Party has apologised for climbing in the past. This may be influencing many visitors as statistics have shown in the last five years that the number of tourists who climb has dropped by a large amount. The climb still remains one of the most common activities and is promoted in almost every tour package. What do you think? Have you or would you climb Uluru if given the chance? Had the chance, chose to respect the wishes of the Anangu and did not climb. I’m surprised they are still requesting people don’t climb. I thought the option would have been removed by now. The climb is not necessary for a great experience. At least it wasn’t for us. We went to see an ancient monolith, a site that has special meaning for the indigenous people, and a famous landscape feature. What we didn’t do is go for bragging rights or to tick it off the list . Consequently, we were not compelled to climb. We walked the perimeter and, being such a damn big rock, it was a long and interesting walk. Given Uluru’s sacredness (to say nothing of the cost of the rescues and tragedy of deaths), climbing it seems very 1960’s tourism. It’s certainly not 2014 eco tourism. You are very right, it isn’t really the thinking of 2014. The difference is now that travellers are much younger than they used to be. I also walked some of the base area as it is so large.